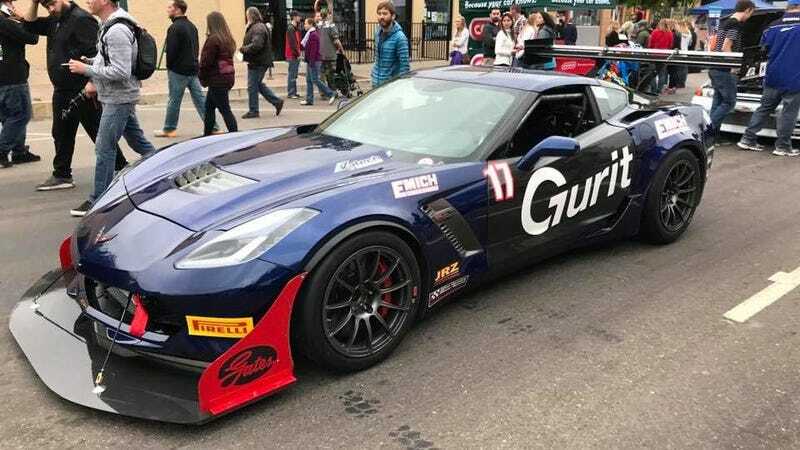 Here’s our man Robb Holland’s finished Pikes Peak salvage Corvette Z06. Here’s our man Robb Holland’s finished Pikes Peak salvage Corvette Z06. We’re disappointed he went so conservative on the front splitter, but otherwise it looks incredible.